Five Brothers Insurance can provide you with a homeowners insurance quote in no time at all. Our insurance agents are on hand to speak with you about your unique coverage requirements and determine your coverage needs. Once all of your details are collected, we can shop policies from a wide range of carriers to help you get the most affordable homeowners insurance quote possible. Because Five Brothers Insurance is an independent insurance agency, we have the freedom to find you a policy that truly meets your needs. Unlike other agencies that have contractual obligations to specified carriers, we can provide you with a range of quotes each with their own benefits. Your dedicated Five Brothers Insurance agent will take the time to educate you on any policy benefits and drawbacks and help you make the right policy choice for your home insurance needs. Unfortunately, home insurance doesn’t cover flooding, earthquakes and other types of disasters not mentioned above, so be sure to speak to your agent about any potential issues you may face in your local region. Five Brothers Insurance understands the dangers Florida homeowners face with hurricane flooding and will work closely with you to determine any gaps in your coverage. If needed, we can provide you with additional flood insurance policy quotes to supplement your home insurance coverage. We are family owned and operated, and every member of our team provides personalized, one-on-one service not found at other agencies. At Five Brothers Insurance, our policyholders are family, and we can help meet any insurance coverage requirements with our comprehensive insurance policy solutions. Additional policy options include car insurance, motorcycle insurance, renters insurance, commercial insurance, boat insurance, life insurance and so much more. 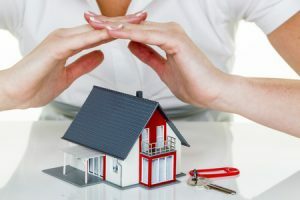 If you are interested in receiving a homeowners insurance quote for your home in Tampa, Clearwater, St. Petersburg, Largo, Pinellas Park or the neighboring areas, contact Five Brothers Insurance today. We look forward to helping you protect your most valued asset!